After winter, many of us need a splash of vibrant colors to get us ready for warmer temperatures! If you're sick of grayness and cold, these colorful towns filled with every hue of the rainbow will instantly get you in the spring mood. 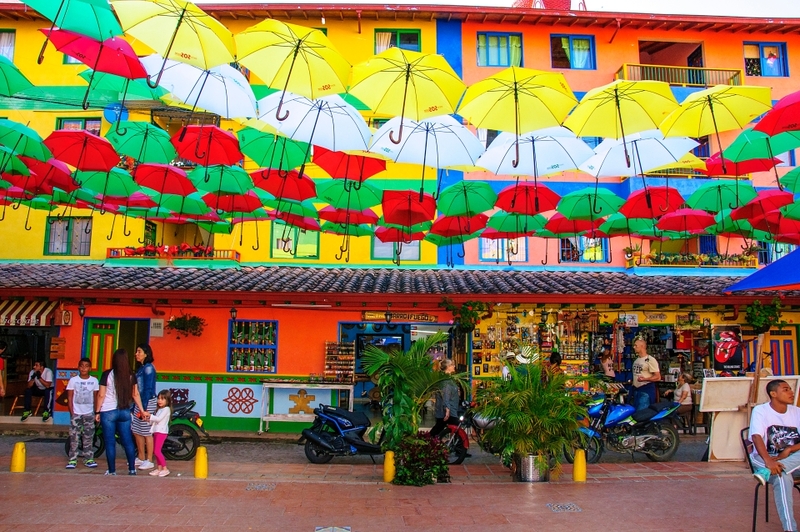 From Africa to South America, these 8 bright-colored cities are a true feast for the eyes and we won't blame you if you start packing your bags after seeing them! Spring is upon us, but it can't seem to come soon enough. It's not yet warm enough to abandon our jackets, and the rain just doesn't seem to quit. But if you're looking for a little travel inspiration, let these eight rainbow towns brighten your holiday plans! From Indonesia to South Africa, these towns are sure to shine no matter the weather. 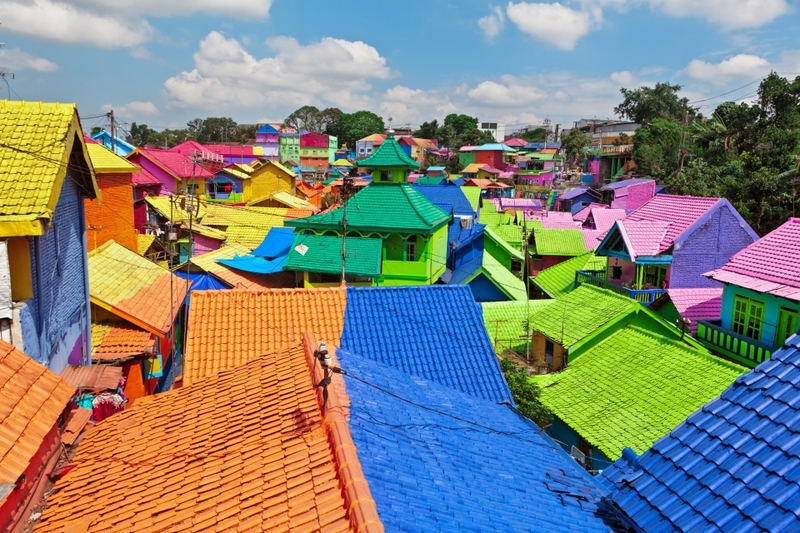 The name of this colorful village literally translates to Rainbow Village and the moniker is well-deserved. This village in eastern Indonesia was considered a slum until the local government gave it a $30,000 dollar facelift, with the explicit goal of making it a tourist destination. All 232 houses in the village were painted every color of the rainbow, and the plan has actually worked! Kampung Pelangi has transformed into an Instagram hit and it's becoming more and more popular among tourists from all around the world. You can find Italy's most colorful island just a stone's throw away from mega-popular Venice. 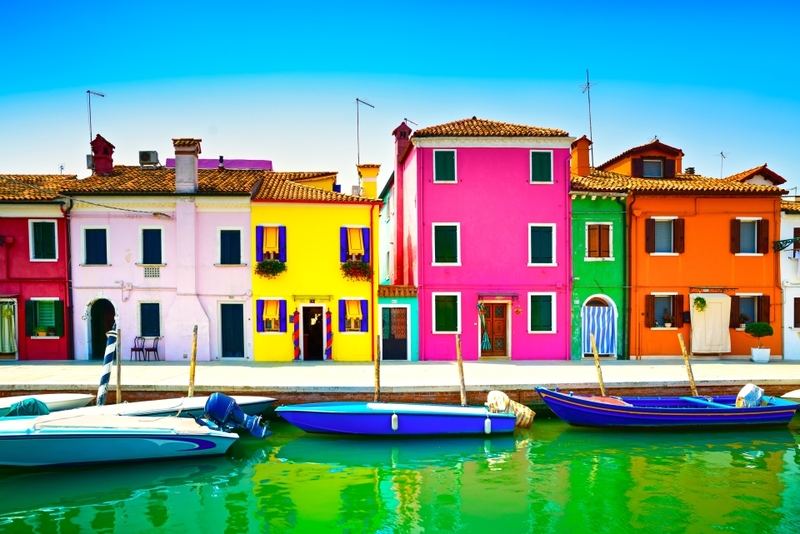 The fisherman's island of Burano is famous for its multi-hued houses, making it a dream for Instagrammers and photographers. This dazzling rainbow town is also famous for its authentic lace designs, earning it the nickname 'the island of lace.' Stroll around the island's cobbled streets lined with florid houses and feel the laid-back atmosphere of the locals! Guatapé is a true feast for the eyes. Found in northwest Colombia, it's very close to Medellin and a common destination for day-trippers. With its traditional houses and their fresco-like decorations, the whole town feels like a vibrant dreamscape. 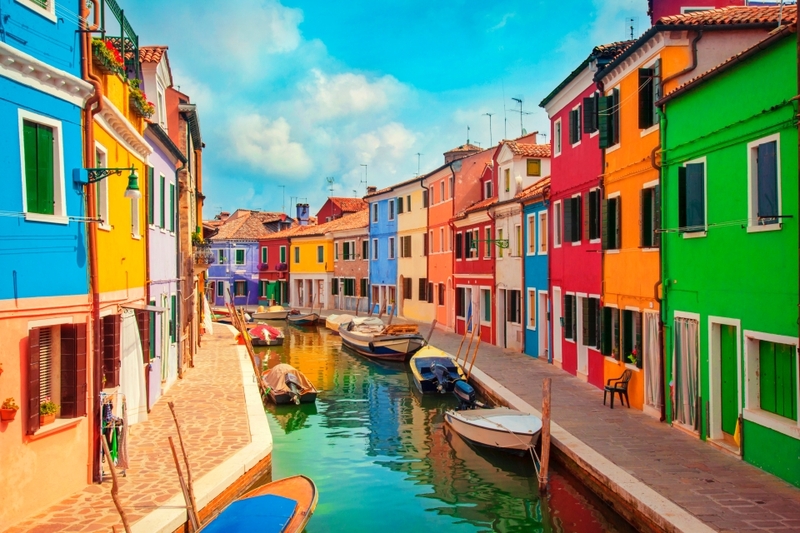 Cheerfully painted houses will brighten up anyone's mood and just imagine wandering through these psychedelic streets! It's an absolute dream come true. This colorful gem on the French Riviera is still flying under the radar for the time being, with tourists mostly flocking to glitzy Monaco and flamboyant Nice. Situated right next to the Italian border, Menton is a small and peaceful city bursting with traditional charm. Its pastel homes, ocean views and green hills have won it the nickname 'Pearl of France.' 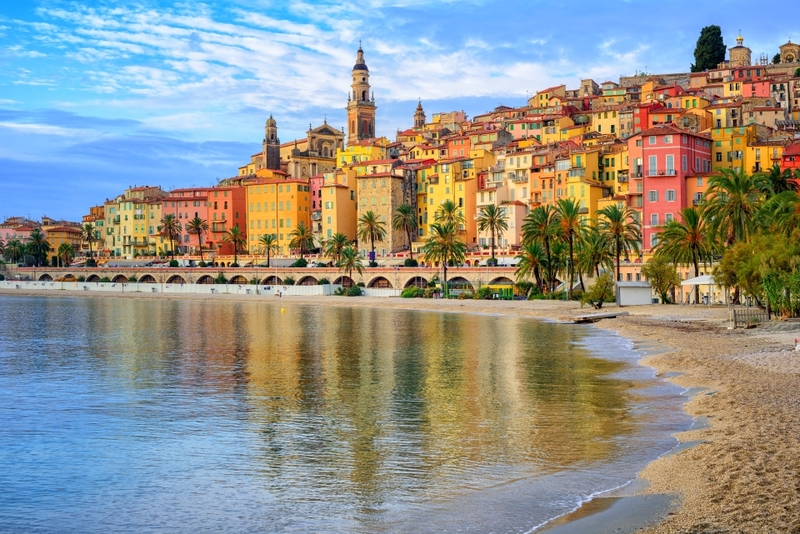 With 331 days of sunshine per year, Menton is a year-round destination for people of all ages!